People often invest in stocks and wait for their prices to increase to dispose them such that they can make some profit on these. These stocks can be sold to other parties. However, while doing so, the two parties need to sign a stock purchase agreement. 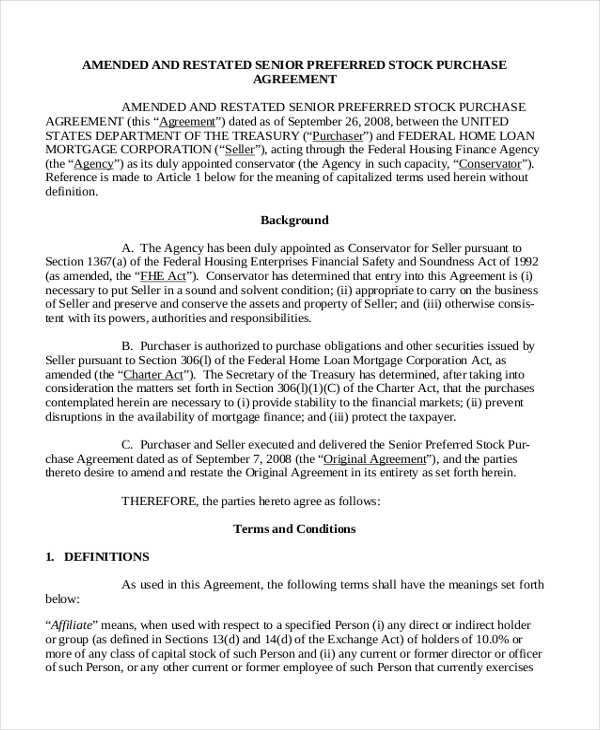 This document acts as a proof of the transfer of ownership of the stock from the seller to the buyer. The contract also lists down the value at which the stock is being bought and other details. You may also see Agreement Forms. 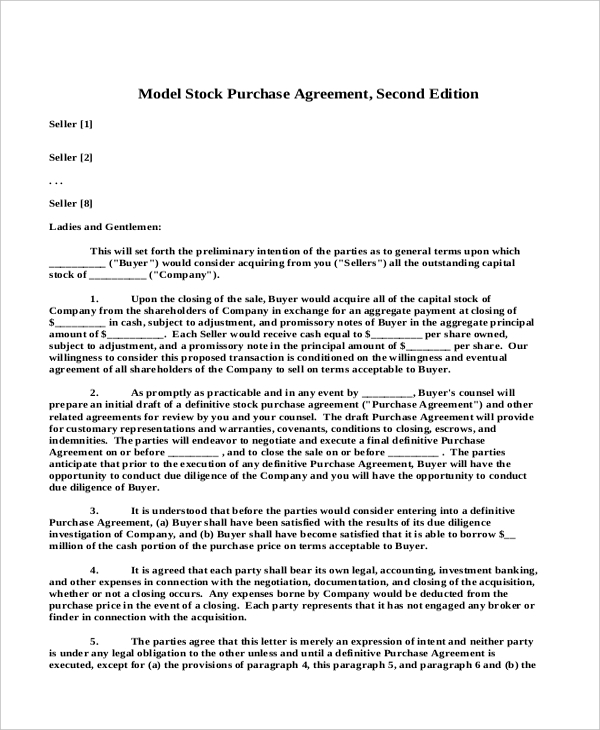 This is a standard model of a stock purchase agreement and gives the user an idea of the format to be followed and the segments to be included in such a contract. This in turn helps the user to include all the details of the transaction. You may also see Purchase and Sale Agreement Forms. As the name indicates, this stock agreement can be used by a person who wishes to sell his senior preferred stock to another person. This agreement comprises of all the segments that help the parties to include the details of the transaction in an organized manner. 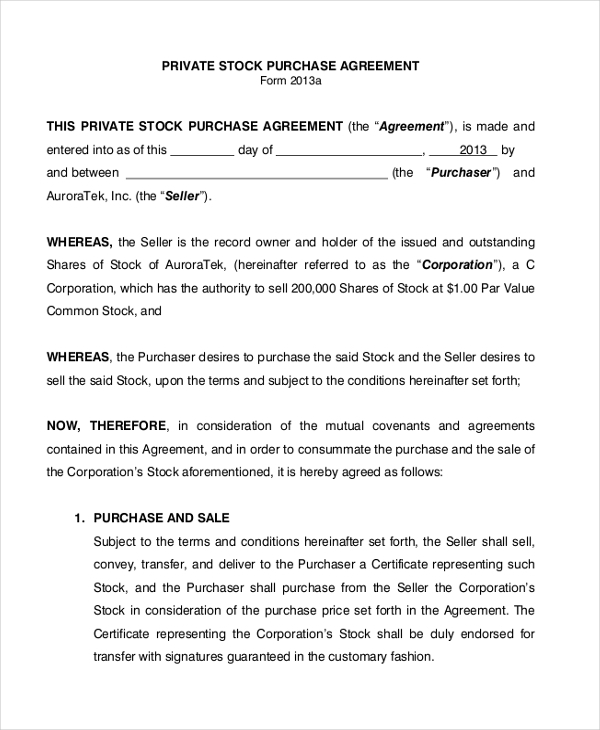 This agreement can be used by a person who is buying stocks from another person. Both the parties should sign this agreement in order to transfer the ownership of the stocks from the seller to the buyer. The agreement also lists down the value of the stocks. You can also see Free Rental Agreement Form. When a shareholder of a company transfers his stocks to another shareholder, the transaction is guarded using this stock purchase agreement. This comprises of all the clauses that guard the interests of both the parties along with the financial aspects of the transaction. When private stock changes hand, the transaction is sealed using the aforesaid agreement. 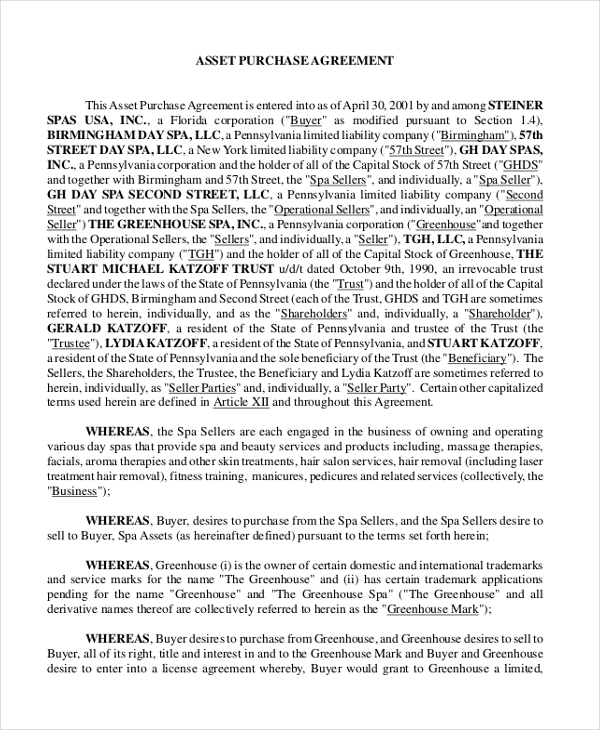 The document includes all the clauses that mark the transfer of ownership of the stocks. It also comprises of segments where the details of the stocks can be included. You may also see Consignment Agreement Forms. 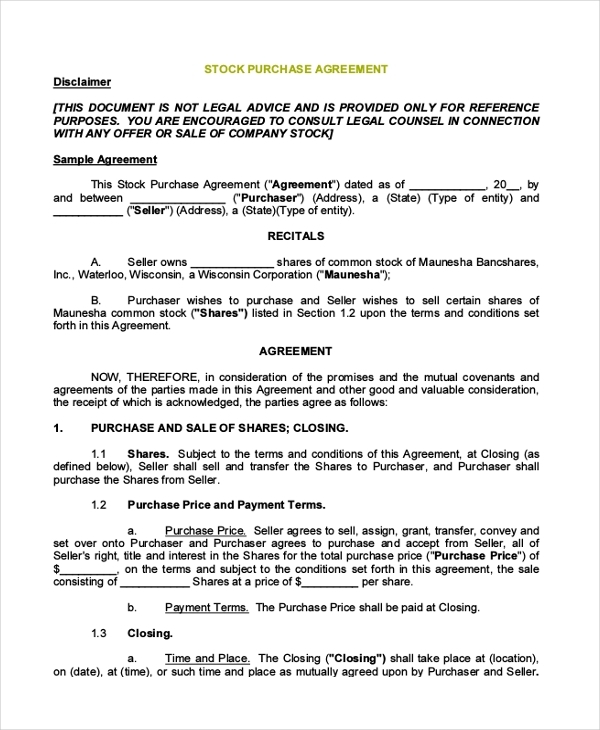 When two parties are involved in the sale and purchase of stocks, they are required to sign this agreement which legally transfers the ownership of the stock from the seller to the buyer. The agreement also elaborates on the financial details of the transaction. 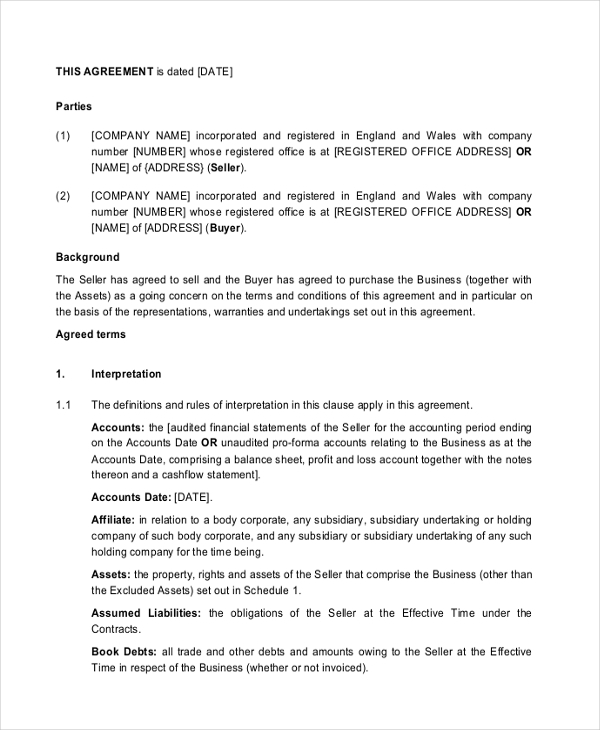 This is a sample of a stock purchase agreement which gives the user an idea of the format to be followed and the sections to be included while drafting such a contract. The user can use this just the way it is or can make changes to it as per his needs. You can also see Confidentiality Agreement Forms. What are the Benefits of Using Stock Purchase Forms? 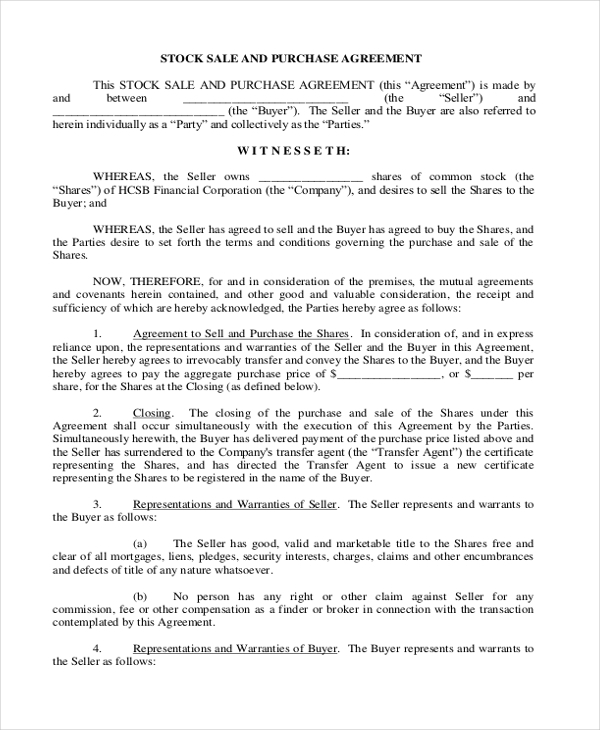 Need some help in drafting a stock purchase agreement? Get some cue from our collection of these agreements. We have a wide range and finding the one apt for you would surely not be a problem. Easy to download and customize, these agreements can help you come up with a unique, personalized contract in matter of a few minutes. You may also see Non Disclosure Agreement Forms.